We left this morning at 8:00 after a good breakfast. The weather was cold and rainy. It was about a two and a half hour ride before we got to Saragossa (Zaragoza). There was going to be some type of military parade and concert in the square so there was a lot of activity going on and streets were being blocked. 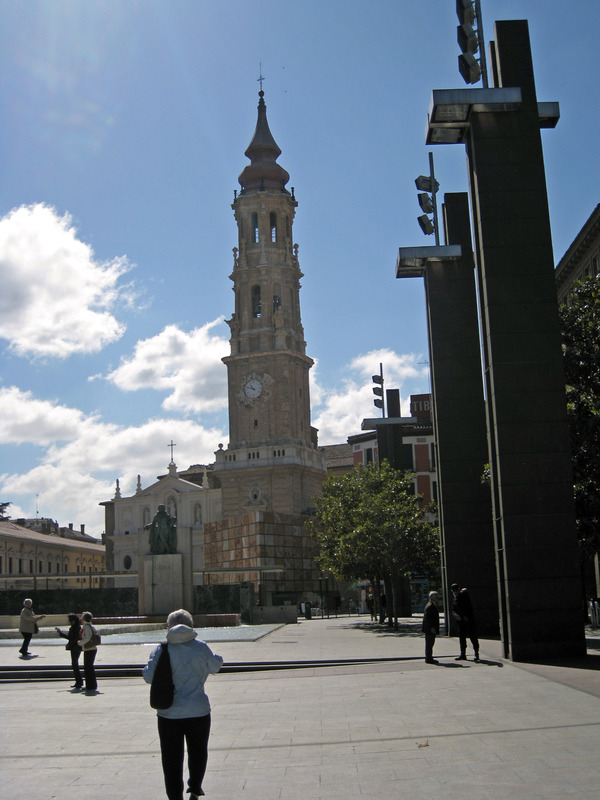 Our first stop was at Basilica of Our Lady of the Pillar (El Pilar), where, according to legends, the Virgin appeared to St. James on a pillar and asked him to build the church. See my model. 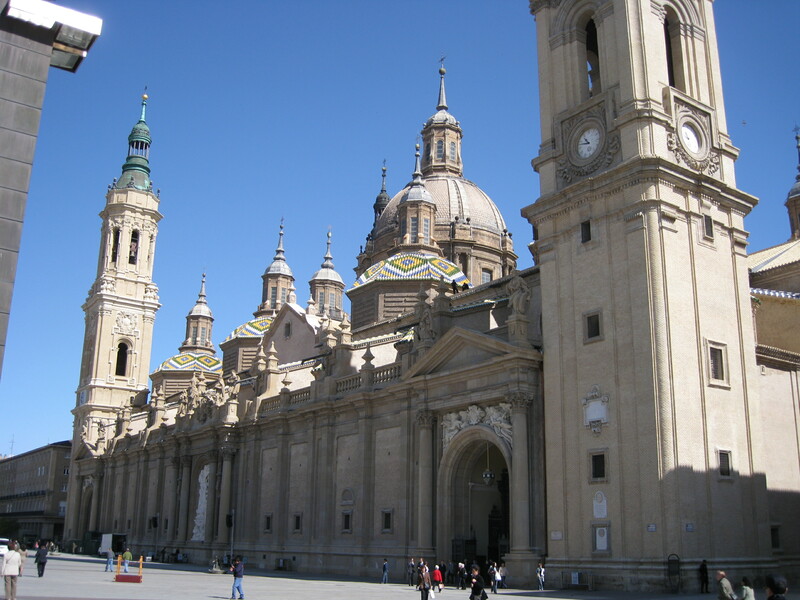 This 16th- and 17th-century basilica has an almost eastern style with its domes and towers. Thousands of pilgrims travel here annually to pay homage to the tiny statue of the Virgen del Pilar in the Holy Chapel. 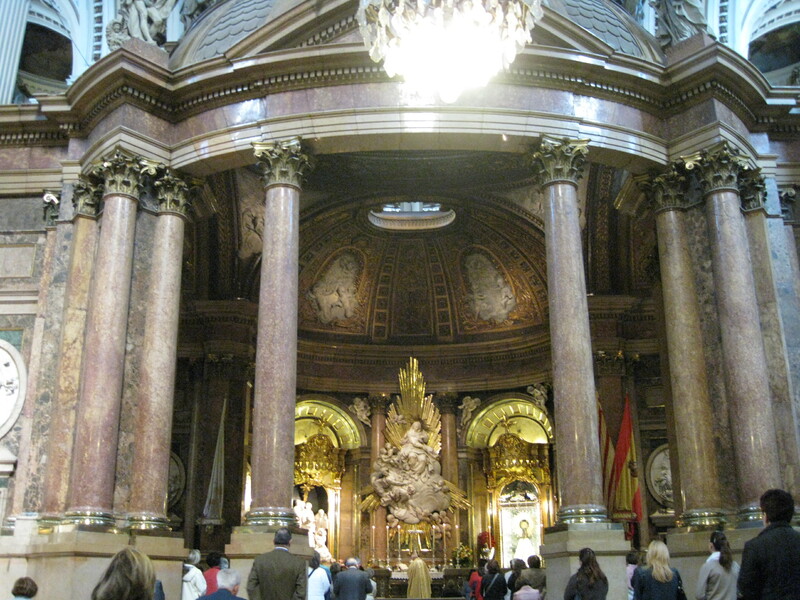 The interior is rather Baroque. A mass was going on in one of the chapels. There were chapels all around the inside with the choir in the middle of the nave. We learned that the Spain name “Pilar” honors the Virgin of the Pilar. 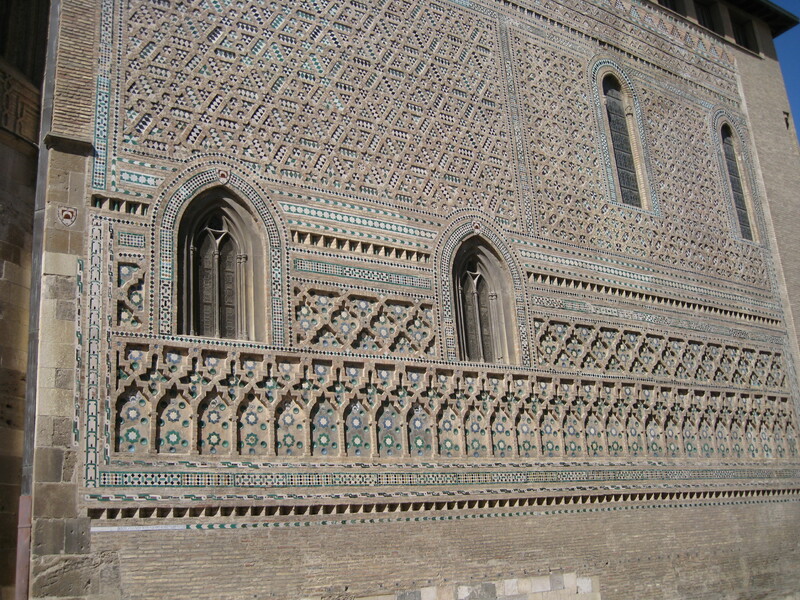 Mudéjar is the name given to individual Moors or Muslims who remained in Christian territory after the Reconquista but were not converted to Ch ristianity . It also denotes a style of Iberian architecture and decoration, particularly of Aragon and Castile, of the 12th to 16th centuries. It has a rich baroque and Plateresque facade and is a particularly fine example of Aragonese Gothic architecture. All too soon we wer e back on the bus. 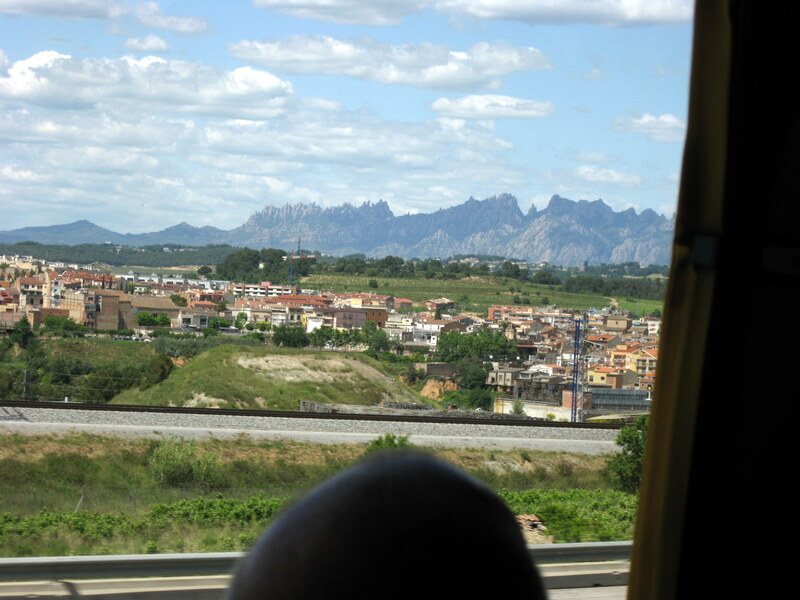 After a rest stop, about an hour and a half after Saragossa, we arrived in Barcelona. There were a lot of different mountains along the way. We arrived at our hotel – Rivoli Ramblas. 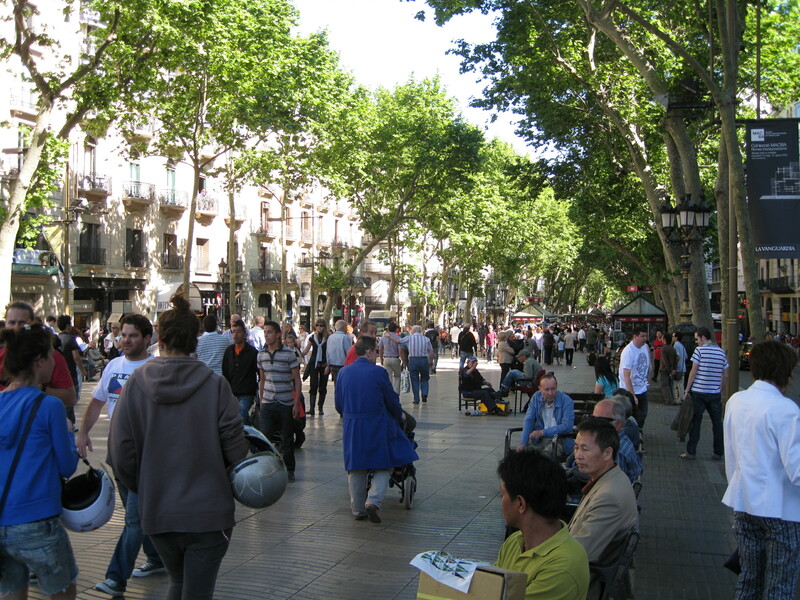 It was right on the Ramblas – two blocks from Plaza Catalunya . After we checked in our hotel, we went on a tour. First, we drove to the Olympic Village on the sea. The beach was quite beautiful as was the day. The Olympic Village is a complete restoration of poor section of Barcelona for the 1992 Olympics. 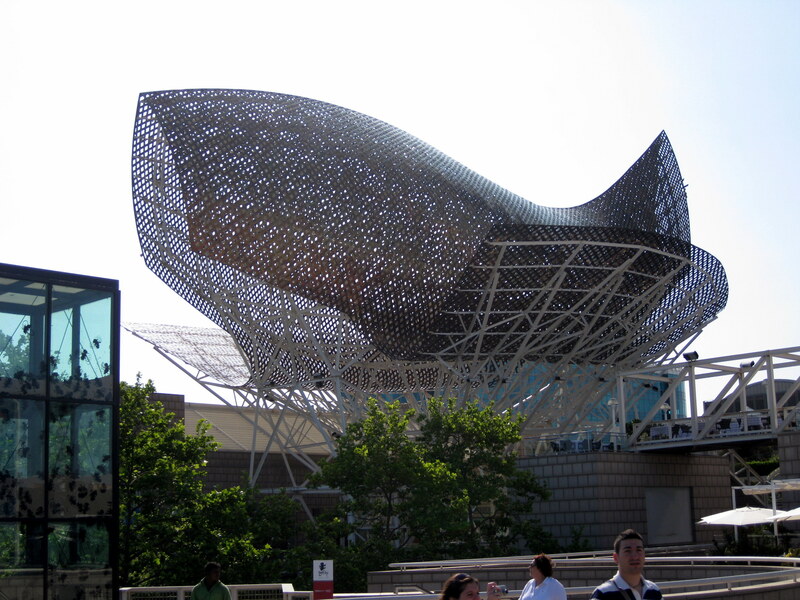 There are a lot of modern buildings - two high rises plus a large fish sculpture by Frank Gehry. This was his first experiment building with computers. The sculpture is about 180 feet long and 115 feet tall. Our visit was much too short. 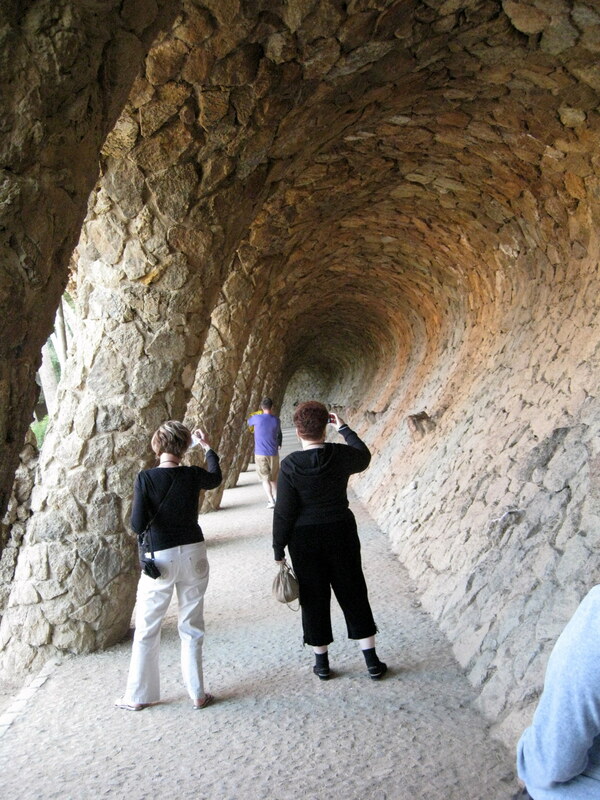 We drove through various parts of Barcelona on our way to Guell Park which was designed by Antoni Gaudi and built from 1900 to 1914. 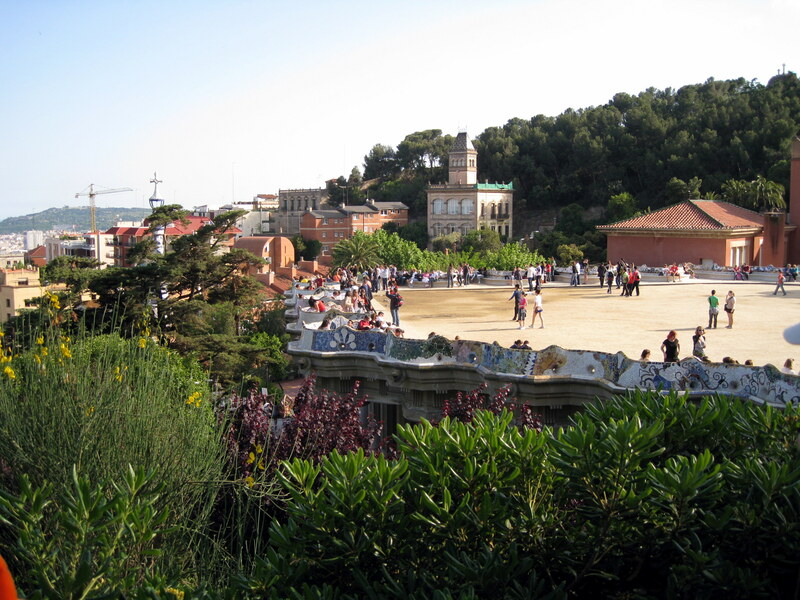 The assignment of this project was made by the count of Güell as an aristocratic city-garden with single-family residences. The project finally wasn't a success and consequently it became a municipality property and since 1923 being transformed in a public park. 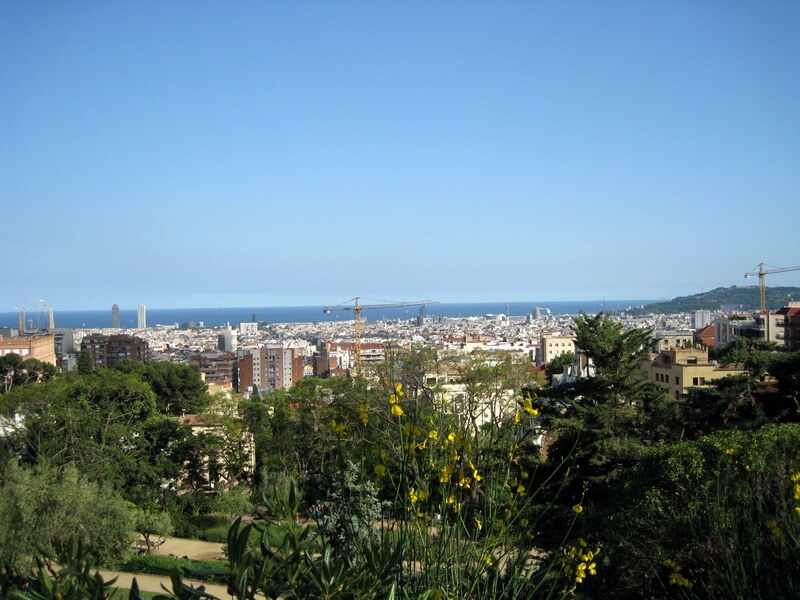 It is located on a high point of Barcelona and has a tremendous view of the city and the Mediterranean Sea . All of the architecture is “modern” with a walkway resembling a large wave. There is a large area with built in benches made of various fragments of tiles and ceramic. Of interest was what was planned to be a market. 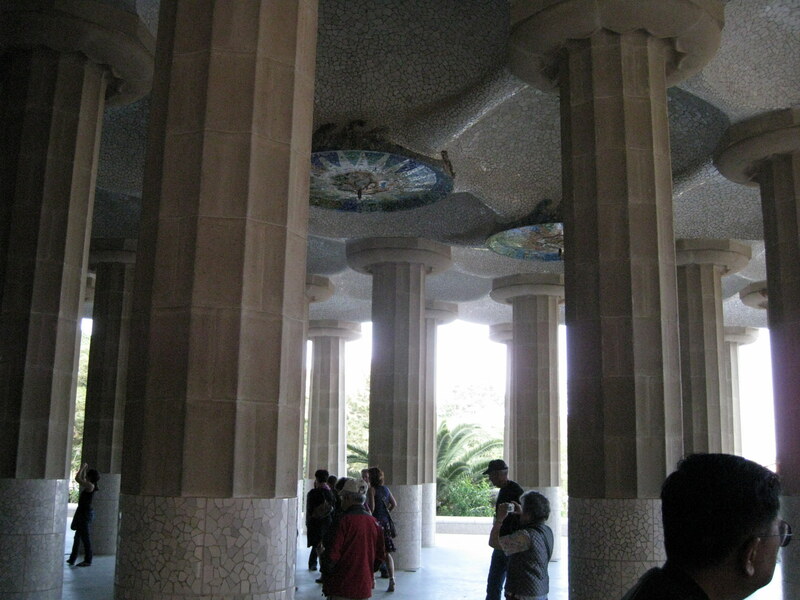 It is like a pavilion with a hundred columns. We enjoyed being there very much. It was a “must see” on our list. We went back to the hotel at 7:00. We stopped in the bar for a drink before dinner. The dinner in the hotel was very good- a large salad, salmon and potatoes and a cream brulee for dessert. We took a short walk on the Ramblas before going to bed.